It’s not just children that enjoy being snowed in, given the right circumstances it’s a knitter’s dream come true. That was the case for me this weekend when snow swept much of the country two weeks before Christmas and Lake Tahoe became a magical (albeit freezing) winter wonderland. It’s a sad state of affairs that my only daughter does not knit, she’s horrified by the very idea. She is, however, a fabulous support system for me. She graciously learned how to Tunisian Crochet one year so she could teach knitters this fun technique in our booth at Stitches West. Now that she’s in college she decided to ‘knit’ Metamorphosis Hats for some of her new engineering friends over Thanksgiving break. 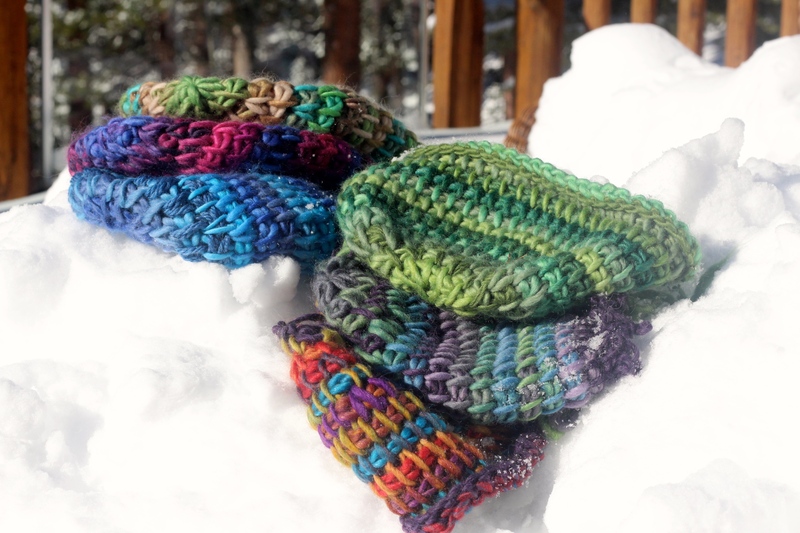 She needed a bit of help on all the brims (which are knit in the round) and so I settled down with my cup of piping hot tea, some cozy slippers and knit six brims while I watch the snow fall, and fall, and fall … for 18 inches. If you read the blog post for the hat, you’ll remember I warned you that once you knit one you’d end up knitting more. Such was the case this girls weekend. I committed to knitting three more for my sisters-in-law who fell in love with them. I have the best sister-in-laws ever so I don’t mind. You can find the free pattern for this hat on Ravelry here. The web page with further description is here. 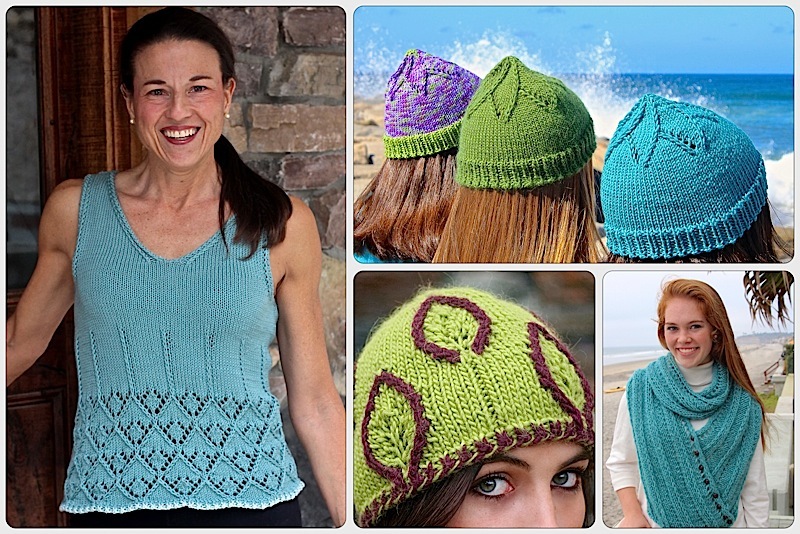 This entry was posted on December 9, 2013 by Laura Cunitz in General, Hats and tagged free knitting patterns, knit hat pattern.